Under the title “How to feed our cities? – Agriculture and rural areas in an era of urbanisation”, the forum discussed from 14 – 16 January 2016 topics to meet this challenge, such as the impact urbanisation has on food security in different regions of the world, the role agriculture and rural areas play in light of this trend and cooperative partnerships with rural and urban development going hand in hand. At the 8th Berlin Agriculture Ministers’ Summit on 16 January 2016, ministers from 65 states stressed the importance of urbanisation as one of the future challenges of humankind. They agreed that agricultural policy – in cooperation with other policy fields – must assume its responsibility in the global dialogue with science, industry and civil society in order to allow sustainable agriculture, vibrant rural areas and expanding towns and cities to develop together and complement one another. The International GFFA Panel featured high-level representatives from politics, science, research and civil society discussing ways to face the challenges of urbanisation in front of approx. 1,000 international guests. The 2016 panel discussion focused primarily on the following questions: How can we ensure that the growing urban population is supplied with sufficient, safe and adequate food? What role will agriculture and the rural areas play in this context? How can the cooperative partnership between urban and rural areas be shaped in view of the megatrend urbanisation? 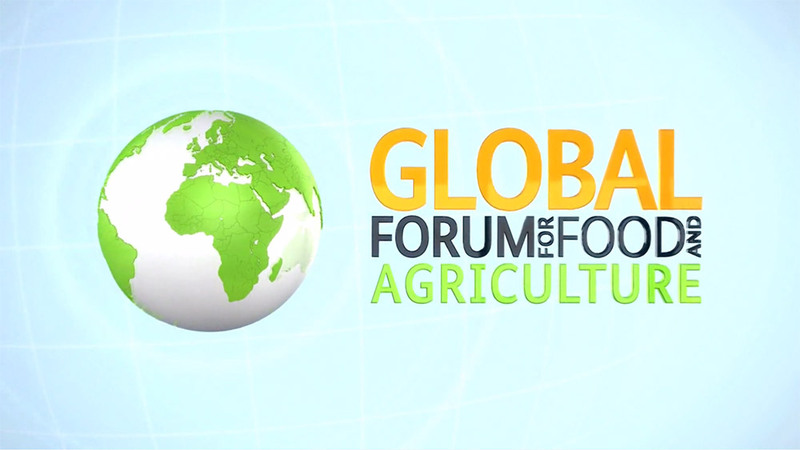 The international organisations FAO and the European Commission held their own High Level Panels during the GFFA 2016 which focused on specific aspects of the main theme. The results of the two High Level Panels fed directly into the Berlin Agriculture Ministers’ Summit and the final communiqué. How can innovations and technological progress best are used to ensure food security in ways that are environmentally and socially sustainable? Is the use of better technology the only reliable way to food security? These issues were discussed at the International Business Panel, organized by the Global Forum for Food and Agriculture Berlin (GFFA Berlin e.V.) in the context of the GFFA and the International Green Week 2016 in Berlin. The expert panel discussions provided an informative platform to illustrate different perspectives and exchange views with an interested expert audience. 35 associations, companies and universities showcased their work in the agri-food sector. In contrast to the exhibition halls at the International Green Week, the focus here was primarily on the presentation of projects rather than products. The Cooperation Market and the affiliated Business Lounge provide space and opportunity for dialogue and exchange of experiences. It is an ideal setting for specialist visitors and exhibitors to enter into conversation.